One of the general rules we preach here at Macromark is that both the copy and the design of your direct mail pieces should be focused and eye-catching. Speaking more specifically to small businesses that may be forced to choose between hiring a designer and hiring a copywriter, deciding whether copy or design is more essential can be tricky. Both are obviously crucial to the success of your campaign, but is there some way to quantify which is more important? Some experts turn to the long-standing 40/40/20 rule. That is, 40% of the success of your campaign comes down to your mailing list, another 40% relies on your offer, and then 20% relies on every other factor, which would include design and copy. The 40/40/20 rule is a bit oversimplified. It suggests that simply putting your offer on a plain postcard should generate largely positive results. You should know by now that in no way is that the case. First of all, your offer is not copy. It is your offer. Copywriters refine that offer to make it connect with consumers and to generate improved engagement and response rates. The next thing to realize is that design matters. Colors, shapes, and patterns all make a difference in getting the attention of the consumer who has more options today than ever before. In practice, design and copy are meant to work in unison. One is meant to play off the other in the same way a pitcher in baseball works with a catcher. The two are virtually inseparable and ineffective without the other. Great copy won’t get noticed if the design is dull, and consumers won’t connect to the piece if the copy doesn’t offer anything relatable. This still leaves you with the dilemma of which to choose, design or copy. And, unfortunately, the answer is that you need both. 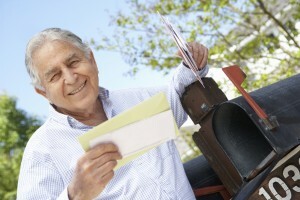 There are still options, of course, for budget-strapped direct mail campaigns. Many design templates are sophisticated enough now to accommodate your copy in a visually appealing fashion. It’s also a good idea to research what your competitors are doing. Look at their design and copy and find ways to improve on it. Using postsecondary students as interns is a good way to get fresh ideas at a low cost, as well. The 40/40/20 rule just doesn’t suffice. Saying that design and copy are valued at just 20% of your overall direct mail marketing campaign is simply not true. Design and copy are equally as significant as your target list and on par with your offering. The best part about working with Macromark is that we can help lead your direct mail campaign from start to finish. We provide the most responsive lists in the business and have three decades of experience helping companies like yours meet your marketing goals. Learn more about Macromark by clicking here. Then connect with us before starting your next direct mail marketing campaign and let us be the difference.